Why? If we remove it then it goes away? I could say enough to blow the board up and it would all be true( but would get ridiculed by the blue hairs who think this is the 80s and early 90s) but I dont. But just because things are purged, dont make the problems go away. We are the most hypocritical fan base in the nation. We point fingers at others when we are equally guilty. I still want to know who all these "blue hairs" are that people keep referring to. Sounds like the tooth fairy or Easter Bunny after a while. People keep talking them up, but they appear to be just imaginary characters. I didn't mean to stir up a hornet's mess. In looking back, my post is right up there with what I accused media of doing. The least you can do, Tennesseefan2019, is to tell us all which drag bar you perform at. That profile pic is fierce, girl. Lol..... I needed a good laugh so thanks for this post. Don't take the bait. I'm relatively certain Tennesseefan2019 and OldNSlow may be the same person and their only goal on here is to generate animosity. I can assure you we are not the same person. Why would I need to have someone that agrees with me, as thats what you are accusing me of. I cant help that we are both smart and see the game through the same lens....a clear one not clouded with "I hope" but reality of the game. I have come here to speak against what can only be described as loyalty to a fault. 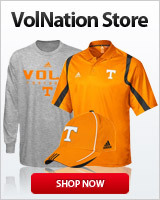 I love the Lady Vols, but our hypocrisy as a fan base is sometime hard to tolerate. Why do I think leaks should be stopped or why do I think the thread needs to be deleted? Leaks are never good if something needs to be hid.....and why delete the post? I am just asking why you say that? Because it is regarding a young woman’s personal business. I don’t think Zaay’s academic performance is anyone’s business but hers and the people she has to answer to regarding academic requirements. Gosh so glad that you have decided to grace us with your presence since January 2019!! What did we do all these years without your oldnslow insight? FURPA agrees with you. It’s not just polite. It’s the law. Ok I can go along with that. And I agree with that. Glad you brought that up! I think it is an ageist, sexist term for women of a certain age. My thought is if posters continue to use this term I am going to start calling out Viagra swilling old fat bald men. What could possibly go wrong? Goose, gander baby! If the problem is academics there is help available, but the student athlete has to work on it. Hope she is able to stay. Why not? The academic standing of student athletes is as much our business as anything else being discussed on here. And by the way, student athletes have enough academic assistance that there is little excuse to be flunking class. If this is true I bet her mom is PISSED ! She is a teacher and emphasized academics to Zaay and the coaching staff and that was the draw to TN for her. I never said Zaay specifically had issues with academics. I said academics had started to take a backseat to basketball with the previous staff, and to Zaay and the entire team, that cannot happen. Agreed! I just remember her mom saying she felt comfortable sending her daughter there as an educator because of what the last coaching staff told her and the supports set into place. If there were academic issues i am pretty sure Zaay’s mom put the blame not only the coaches but also told her daughter to own up to some of it. Again, that’s IF she had any academic issues. This is just one more thing the new coaching staff has to clean up and for all those thinking this person or that person should have been kept one of the main things the LV were founded on was education so this seems deeper than just the oncourt product. And sorry if you thought my previous post was addressed to you or was implying I said it was an academic issue. I always took it as ageist (and a low class, ugly comment. Hope those using it just don’t think what they are saying and wouldn’t use it if they did.). There are lots of older men who support the Ladys and have for years (alert! That’s why they are older😮.). So some of this is jealousy of those who have been there longer, some is hatefulness as a way to strike anyone who is perceived as not agreeing or the same as they, and some is ignorance. Note: ignorance is correctable; I don’t know about jealousy or hatefulness. Hard words, and some who use that term I think of as my friends. If you do use that term, I would ask you to reconsider. If your first response is “snowflake” or anything of that ilk, well, you are what you are. I’m sorry for you. And remember there are lots of words and terms we choose not to use because they are considered insulting or demeaning; it is often not the word but how the user chooses to use it. So if you are using it as a put down, to be insulting, to demean someone - think. Are you really that type of person? If so, go to it. I heard, “sticks and stones...” all my life and it is true. I may find it an insulting term, but, believe me, I’ll have a lower opinion of you. You won’t care about my opinion, and I won’t care about yours. I’ll just be on a higher plane😂😇. We should be a community of Vols, considerate, sharing information and opinions, supporting our athletes. We don’t have to agree, but we should not act like a rabid wolves just because we can do so - behind a keyboard. I don't think the players personal academics need to be discussed, especially a specific player, but is it fair to think that the fanbase should have some knowledge that a coach is not cutting it with off the court issues? Not sure where you draw the line, but several people felt Holly was unfairly fired. I wasn't one of them, but now that info is slowly trickling out, was she? Seems the on court performance was just the tip of the iceberg regarding the 2018-19 Lady Vols' troubles. As a fan, I follow the Lady Vols because their brand stands for something on and off the court. If I just wanted a winner, I'd follow another school. The values that Pat tried to teach and instill meant something to me and still do. I had no idea there was so much amiss with the team. I guess I'm a little shocked. Should the fans only know things when the wheels have fallen off the bus?